Ron and Maggie Tear Photography: Hot Moose. 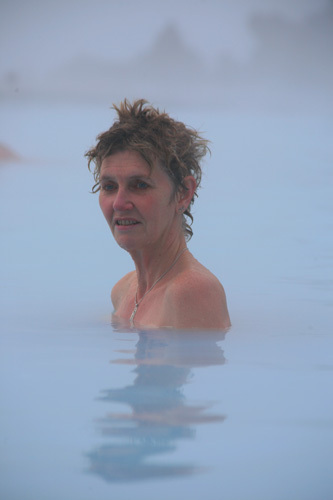 Maggie in the Blue Lagoon, wonderfully hot ! Blue Lagoon, Keflavik, Iceland, Arctic, Atlantic Ocean.